Primero Health, Inc. is a young non-profit organization created to encourage healthy initiatives to benefit individuals and families within their communities. We believe in the time-honored adage, La Cultura Cura, a culture heals. Thus, Primero Health seeks to aid communities in promoting a healing culture. Primero Health believes that healing communities must encourage economic development and that ongoing health improvement is fundamental to this effort. If a community lacks quality healthcare, the ability to contribute time and energy to their success is diminished. Thus, Primero Health’s initial focus will be on healthcare solutions. Primero Health develops and supports affordable health care initiatives. This may include health plans or innovative options that align the incentives of providers, payers and patients to improve access, quality of care and cost effectiveness for individuals, employers, employees and families. Primero Health is a nonprofit corporation created by Paul Tovar who has served the Austin Community for 45 years. Paul’s life-long passion has always been promoting health. The vision he shares with everyone he meets is to create a community that is healthier in mind, body and spirit. Trained as a pharmacist, Paul developed a pharmacy, health care facilities, insurance companies and business service entities. 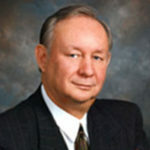 He founded Texas Certified Development Company (TXCDC) in 1981 and serves today as Chairman of the Board. Paul has been actively involved in community development initiatives, and is a past chair of the Greater Austin Hispanic Chamber of Commerce.